Employment with Pet Concierge Tampa Bay! Are you interested in a part-time job working with animals? 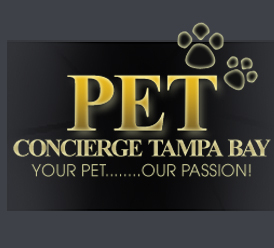 Pet Concierge Tampa Bay is creative, caring and well-loved Tampa Bay Area pet concierge service. We are currently hiring responsible and mature animal lovers, who have the ability to self-manage, to join our exceptional staff! If you are committed to providing love to animals and quality pet care to our great human and 4-legged clients we'd love to hear from you. Please apply if you have at least 2 local overnight pet sitting references. Most of our sits are in southern and mid Pinellas County and West Tampa, although we do have clients in northern Pinellas and Hillsborough Counties if you are willing to travel! 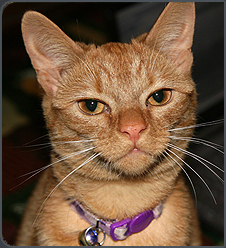 • You have at least 2 local overnight pet sitting references. • You have an insured and reliable car. • You absolutely love animals (both dogs and cats). • You can make at least a six-month commitment to working with Pet Concierge Tampa Bay and you are available for both and long short term sits (sits are usually between 2 nights and 3 weeks). • You are neat, tidy and respectful in the client's home. • You can pass a criminal / background check. Yes! You can take your dog to work or just get your 'dog fix'. Walkers needed in both Pinellas and Hillsborough Counties. Please note: This is a very part-time, supplemental job to start (2-5 walks per week with more walks possible as business increases). • You must be available between the mid-day hours of 10-2 or 12-3 on T/TH or M/W/F. • You MUST LOVE dogs. • You live in Pinellas or Hillsborough Counties (if you live elsewhere it won't be worth the commute). • You can commit to working with Pet Concierge Tampa Bay for at least the next 6 months. • If you want to walk multiple dogs (3 dogs max.) then you must have a 'dog-friendly' car so that you can round up the pups at different homes. Visitors needed in: Pinellas and Hillsborough Counties. Visits are 25-30 minutes for cats and 45-50 min. for dogs. Visits are 1-2 times a day for 1-2 weeks at a time while client travels. 2x a day dog visits are between the hours of 7-9 a.m. and 6-8 p.m. Cat visits are usually more flexible. Applicants who want to specialize in either dogs or cats are also encouraged to apply. • You can commit to working with Pet Concierge Tampa Bay for at least the next six months. • You love both dogs and cats (or you specify which you'd most like to work with). • You are able to pass a background / criminal check. • You are available for both morning and evening visits (for dog visits). Please send us an email with your animal experience, which position(s) you are interested in, what town you are located in, and any other information that would be helpful in considering you.